Clubs are central to the electronic music scene, but increasingly their aesthetic has become fluid. From beaches to rooftops, restored industrial buildings, caves, boats and even piers, our favourite dance floor destinations are no longer limited to dark rooms, light shows and a focal DJ on stage. The results of our annual Top 100 Clubs poll, powered by Miller Genuine Draft, demonstrate that the epithet ‘club’ only tells half of the story. 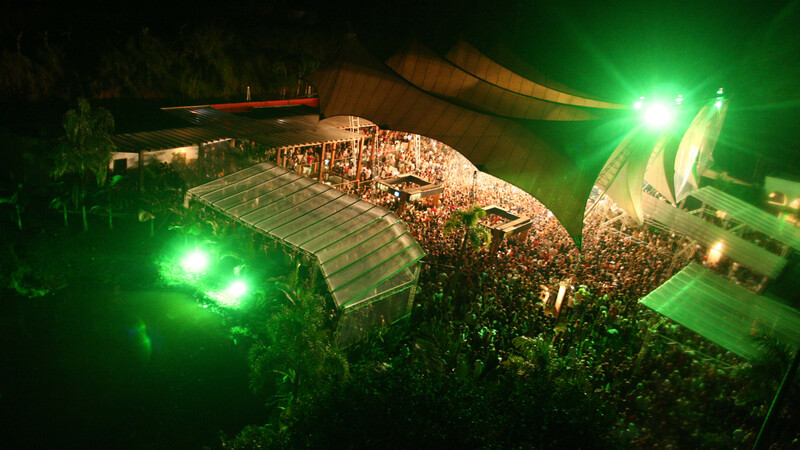 This year’s No.1 ‘Club’, Green Valley in Brazil, began life as a makeshift tent in the middle of an airfield, surrounded by lush vegetation. 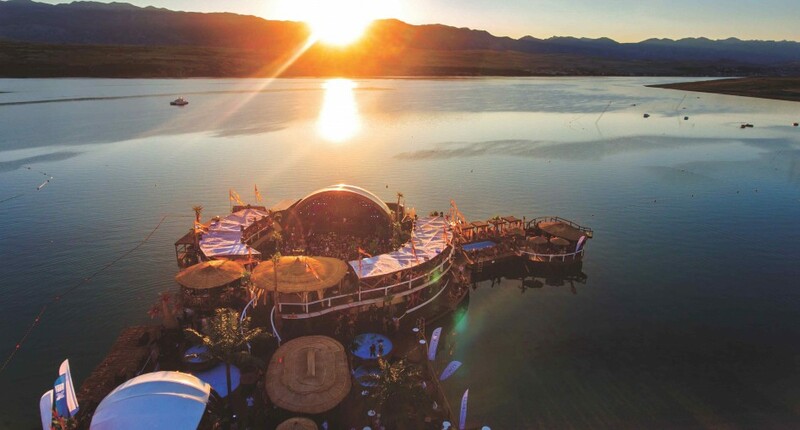 These days it is a vast dance music experience – more akin to a small festival – boasting three main areas, multiple bars, a merchandising boutique and even a picturesque lake in the centre of it’s grounds. And it’s far from a single outlier, Brazil is renowned for this style of venue. El Fortin makes good use of the country’s warm climate by being an open-air club house in a grand wooden pyramid. The exposed structure is like an overblown beach hut and is bathed in warm red and blue lights with lush greenery all around it. Laroc meanwhile, situated slap-bang in tropical paradise due north of São Paulo in Valinhos, is a truly singular venue in every sense. A breath-taking open-air structure in the middle of a lush valley surrounded by forests and mountains, it’s a place where festival and super-club vibes combine by way of a pool, huge LEDs, a precision soundsystem and a stunning sunset vantage point. In Croatia al-fresco dancing has become a defining character. As detailed in our rundown of the country’s best clubs, venues like Papaya, Aquarius and Kalypso share a stretch of beach overlooking the Adriatic. With swimming pools and multi-level dancefloors, they are about as far from the traditional club space that can be imagined. In Paris, where strict legislation and gentrification of the inner city areas forced most dance music venues into the city’s suburbs, Concrete emerged as an underground, inner city saviour. The venue is a stationary, three story floating nightclub that has become infamous for it’s monthly Samedimanche party that runs for a supercharged 28 hours with 12 to 15 artists invited to play over the duration. Another European city affected by legislation and venue closures is London. Once one of Europe’s most culturally exciting cities for enjoying electronic music, the UK capital faced a humiliating run of venue closures between 2008-2016. But from that loss came a visible rise of alternative club spaces. 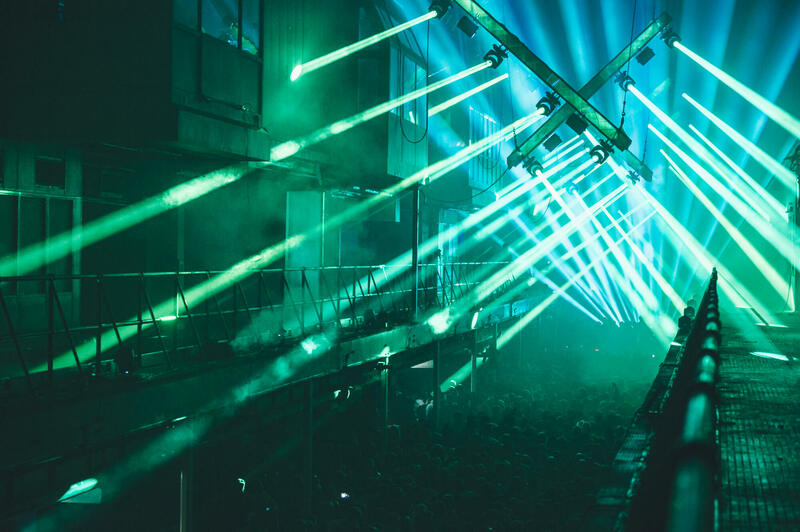 Two of these venues – Tobacco Dock & Printworks – are now ranked in the Top 100 Clubs poll in their own right. Paul Jack, one of the three directors — alongside partners Alice Favre and Will Harold — of London Warehouse Events (LWE), was instrumental in in setting up Printworks (a project the trio have now moved on from) and also Tobacco Dock, where Adam Beyer’s Drumcode parties have become the stuff of legend. It goes without saying that the space in which we party only changes so much. The process is the same whatever the location; the ritual of gathering to dance and listen to music with friends, and to be part of a communal experience, was established long before dance music or nightclubs ever existed. It goes deeper. And the reality is that these alternative spaces are only one part of the story told by the Top 100 Clubs results. For every unique alternative club space listed in our annual ranking there is another homogenous, yet equally exciting, venue, sometimes inside a hotel complex or located on an urban strip. This is not a wholesale takeover of alternative venues, but rather a widening of the classification of the places we gather to enjoy the music we love, which can only be positive in promoting our diverse, thriving global 'club' scene.